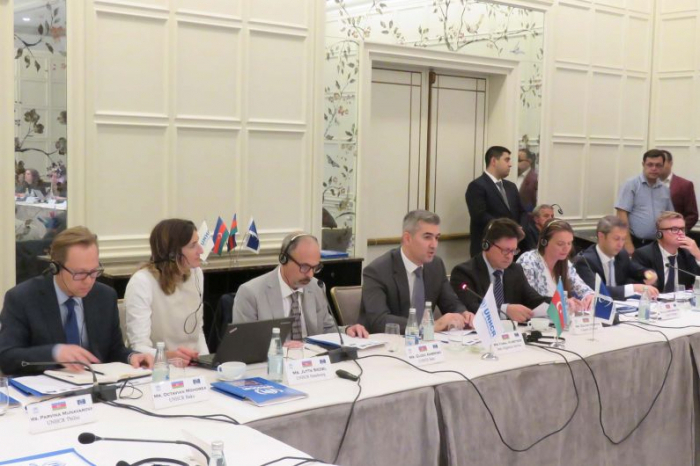 Roundtable discussions on 'Protection of refugees and asylum seekers; judicial decisions on asylums' have been held with organization of State Migration Service, UNHCR and Azerbaijani representation of the European Council, AzVision.az reports. 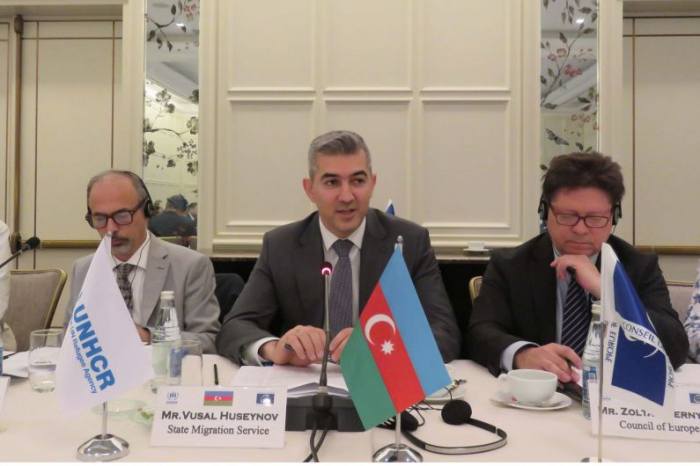 Chief of the State Migration Service of Azerbaijan, Vusal Huseynov noted, the number of refugees and people who need protection rises as a result of the increasing conflicts around the world. In this regard, our country has joined to several international conventions. Although there are more than a million refugees and IDPs as a result of Armenia's occupational policy against Azerbaijan, the Republic of Azerbaijan accepts asylum-seekers from the third country. Relevant steps are being taken by the State Migration Service. Migration service helps foreigners as well as people without citizenship who wants to get refugee status and creates all conditions for their safety. Currently, the number of foreigners who was granted refugee status as third country citizens is 75. Furthermore, head of the Council of Europe Office in Azerbaijan, Zoltán Hernyes and representative of the United Nations High Commissioner for Refugees (UNHCR) in Azerbaijan, Guido Ambroso spoke of the international experience and taken measures on the above mentioned issues.